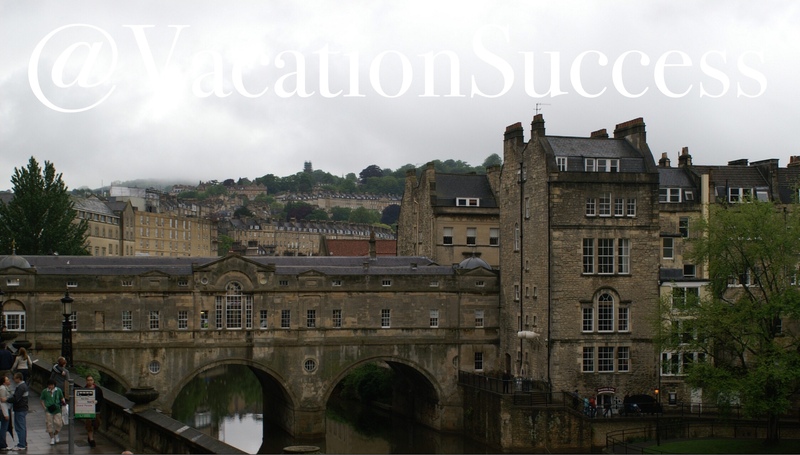 With this post on beautiful, Bath, England, Vacation Success welcomes our newest contributor, my Mom, Jane. Mom and Dad lived 18-months in England, residing in a sweet, little village outside of Bristol. During their time in England, they traveled much of the country. They also took advantage of their close proximity to Continental Europe. 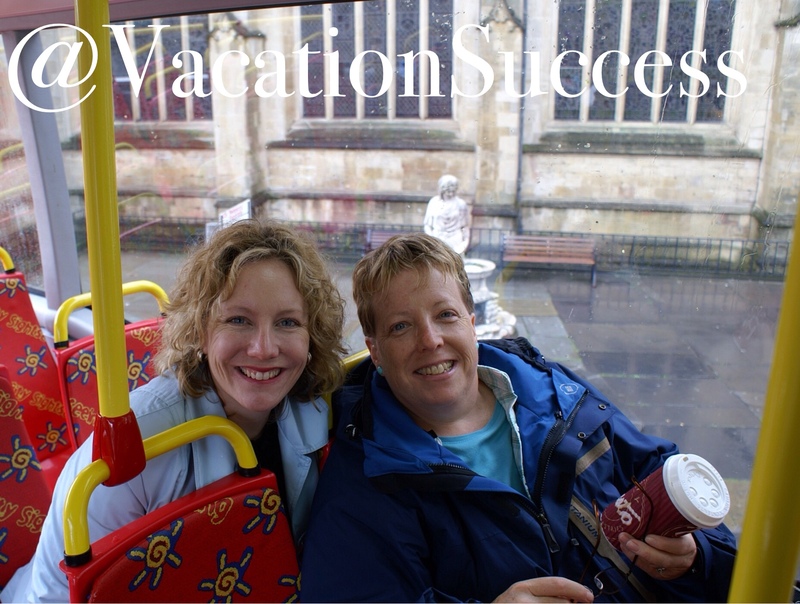 Enjoy this trusted, re-telling of their trips to Bath, and check back for more posts from Jane. My first trip to Bath, England was in February, the weather was cool but sunny. What a lovely large town, all the buildings are made of the local golden colored stone. (I refer to it as a town because it must have a cathedral to be considered a city in England.) No matter how you refer to it, Bath is breathtaking and so beautiful. 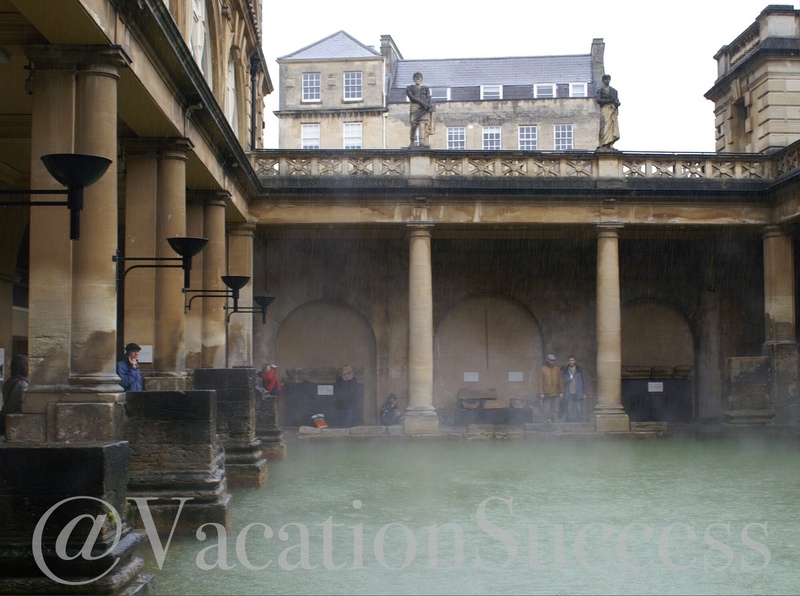 Bath still has many ruins from the Roman era, the town is named for the famous Roman Bath natural hot springs. We took the tour of the Roman Bath but declined a drink of the sulfur smelling water when offered. It is a tricky walk through the ruins but well worth the time and money. The Abbey is a wondrous old church, in the heart of old town Bath and is a must see. As we stood in the square just outside the Abbey, we watched the street performers, it was my first time seeing jugglers wearing only leather thongs! The nearby shops offer the finest wool plaids and jumpers (sweaters). My second trip to Bath was in May with our daughter from America. 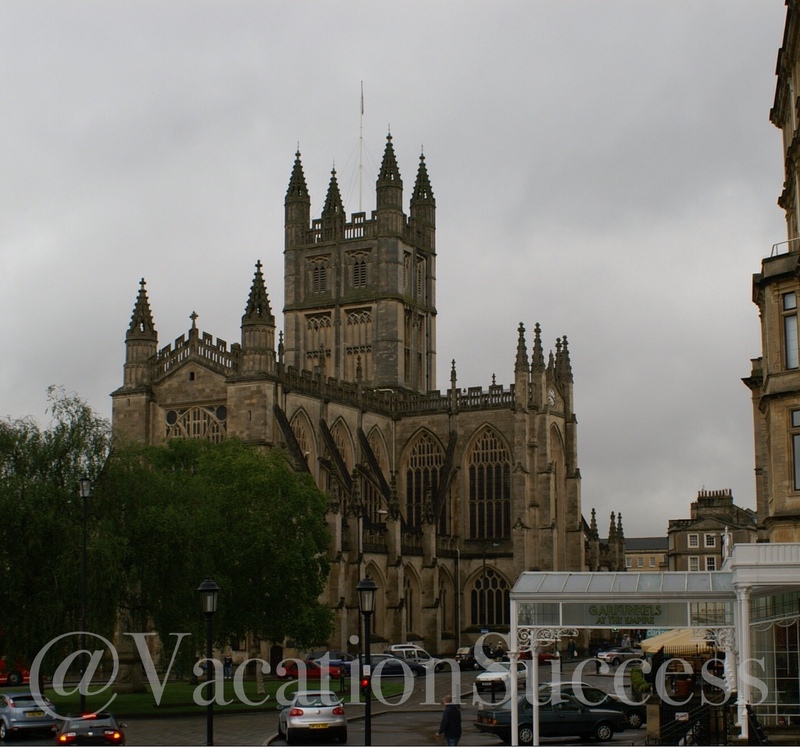 It was pouring rain but she wanted to see Bath for all the rich history it holds. We took a double deck bus tour, seeing where famous people like Johnny Depp lived and the highlights of this magnificent old town. I was soaking wet and needing a loo (restroom). There was a brick and steel structure public loo on our way to the car park. I put in a 50pence coin, the steel door (much like a bank vault door) slid open. When I got into the vault room, the door slid shut. I had a moment of claustrophobia and said a prayer it would let me out. When I sat on the surprisingly clean toilet seat, 4 sheets of tissue automatically dispensed. I was quite relieved that I only needed to pee, what does one do with only 4 sheets of tissue in other situations?! There was a stainless steel cupboard much like a paper towel dispenser next to the toilet. I put my hands into the opening looking for water. A spray of soap and water started up with the motion of my hands. A hand dryer was deeper in and started on its own after the water stopped. As soon as the dryer ended, the steel door slid open and I got out quickly! Bath can easily be reached by rail or auto, put it on your list of Somerset sites.